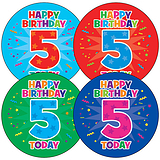 These stickers are ideal for wishing your 5 year old a Happy Birthday. 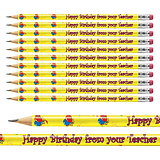 They can wear them with pride whilst letting everyone know it's their birthday. 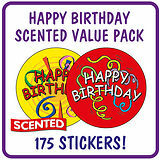 A great sheet of 35 brightly coloured birthday stickers for use on the 5 year old birthday girl or boy. Each sticker is 37mm in diameter and they will proudly wear it all day.